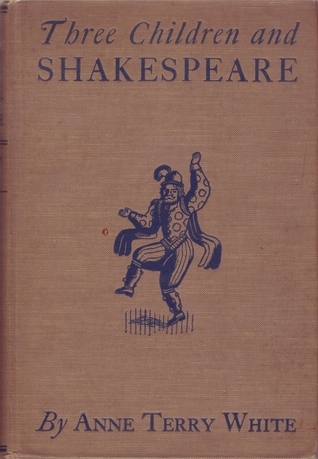 Three Children and Shakespeare is a novel of sorts, in which a mother and her three children read four of Shakespeare's plays: The Merchant of Venice, A Midsummer Night's Dream, Julius Caesar, and The Taming of the Shrew. The mother character provides context for each tale, and she explains various aspects of Shakespeare's life and times as they become pertinent to the plays they are reading. Interspersed with the original text of the plays is commentary from each of the three children as they raise questions, express opinions, and engage with each work. This vintage book, published in 1938, is a true gem, and it is such a crime that it is out of print! There are many books out there to introduce children to stories from Shakespeare, but none that I have seen do such a wonderful job of explaining the plays in child-friendly terms without dumbing them down. This book beautifully incorporates the language and meter of the original plays, but it also anticipates and addresses the questions and ideas child readers might raise in a way that feels authentic and encourages kids to feel invested in the stories. Even I, who had previously read three of the four plays, found that I was able to get into each story more easily with the support of Mother, whose enthusiasm for the plays and complete confidence that her children can appreciate them, takes away any barriers that might keep a reader away. Though this book is over 80 years old now, there is very little to date it to its time period. Everything Mother teaches her children about Shakespeare is still fully relevant to his works today, and because most of the action is simply just reading and discussing the plays together, it easily transcends generations. I can't wait for my girls to be old enough to understand these plays - this book will be the perfect way to introduce Shakespeare for the first time!